Dedicated trucking solutions focus on one thing: getting your urgent shipment to where it has to go. Here at SameDayDelivery.com, we provide next day and same day dedicated trucking options for B2B customers. We get rid of the queues and the waiting. The moment you contact our dedicated trucking company, we put our transportation services into motion to get your freight picked up and shipped out in a few hours. Our dedicated freight options involve matching your commercial freight to the right truck based on size, weight and urgency. Your shipment is the only thing on the truck, as this process minimizes multiple delivery stops along the transportation route. Instead, your shipment goes directly to the destination anywhere in the United States and Canada through our network of truck and van carriers. Sprinter Vans: Our sprinter vans carry loads of up to 2,000 lbs when you have crates, light pallets and expedited LTL shipments. These vans are perfect for same day, last mile and overnight deliveries. Straight Trucks: We have small trucks capable of carrying up to 6,500 lbs and large trucks that can handle 12,500 lb load capacities. Whether you have multiple pallets or large construction equipment, our straight trucks will carry the load down the road. By using premium dedicated trucking services through SameDayDelivery.com, you get a fast logistics option where only your freight is handled through the entire transportation process. This solution allows you to add more freight to the reserved truck if you have an LTL shipment going out. Fill up the van or truck with as much as it can hold. 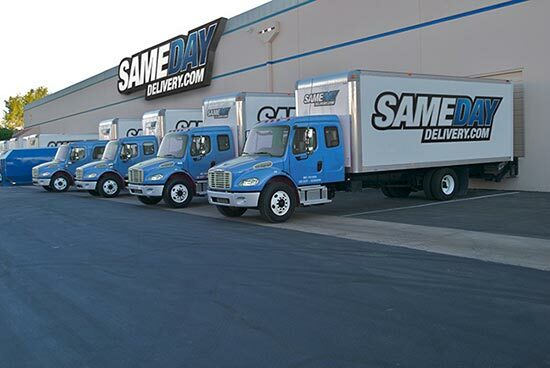 Reliable, fast and dedicated services are what SameDayDelivery.com specializes in for our commercial customers as you get premium solutions for your urgent shipments. With our same day dedicated trucking processes, your freight will make the fastest time possible out on the road without any stops or delays. You'll also receive alerts regarding your shipments to bring you peace of mind that your freight will reach its destination. 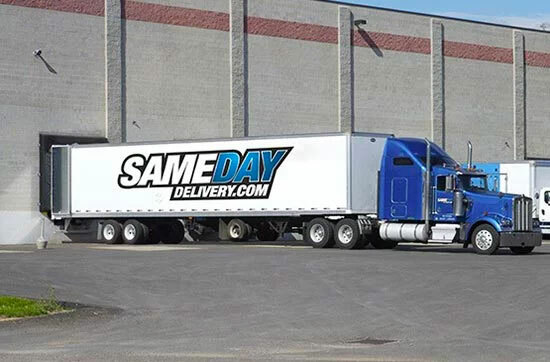 When you need same day, overnight or next day expedited freight delivery services in the United States and Canada, SameDayDelivery.com is your transportation solution. Let our dedicated trucks and vans help you get your shipments out on the road and to the specified locations.